Lots of guests come and stay with us and plan a visit to Chatsworth. 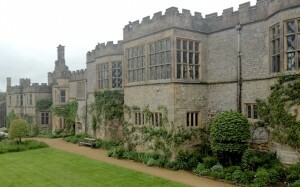 Although we love Chatsworth we would also strongly recommend a visit to Haddon Hall if you have time. A quirk of fate left Haddon unoccupied from the 17th to the 20th centuries, which means that we can appreciate today, a building left largely unmodernised. The original house dates from medieval times and there is still evidence of how the house would have been all those centuries ago. 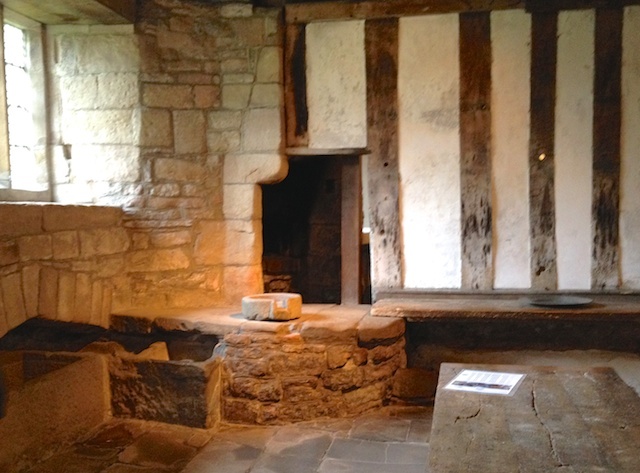 What is most evident, however, is how the house grew during Tudor times and you can really get the feeling for how the life of a wealthy family would have changed over the years. 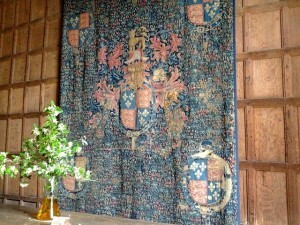 The first owners of the Haddon were the Vernons whose family emblem was the boar. You can see signs of the boar around the Hall. During the 16th century, the house passed, by marriage, to Sir John Manners, the 1st Duke and Duchess of Rutland, and the owner of Belvoir Castle in Leicestershire. Haddon has been in the Manners family ever since. The family emblem of the Peacock can been seen just not at Haddon but locally too. The house was left in the hands of caretakers for more than two centuries until John Manners, the 9th Duke of Rutland made it his life work to restore the Hall during the 20th century. Visit the Hall to find out why, despite being the second son, he inherited Haddon rather than his brother, Robert Manners. 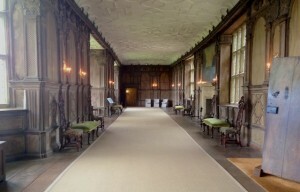 Because the Hall is such a well preserved example of an early manor house it is always popular with film makers as a film set for classics such as Jane Eyre, Pride and Prejudice and The Other Boleyn Girl. We strongly recommend taking a guided tour, if you can, to hear some of the many fascinating stories of Haddon and its occupants. See the web site for details of tour dates, entrance fees and to book tickets online.